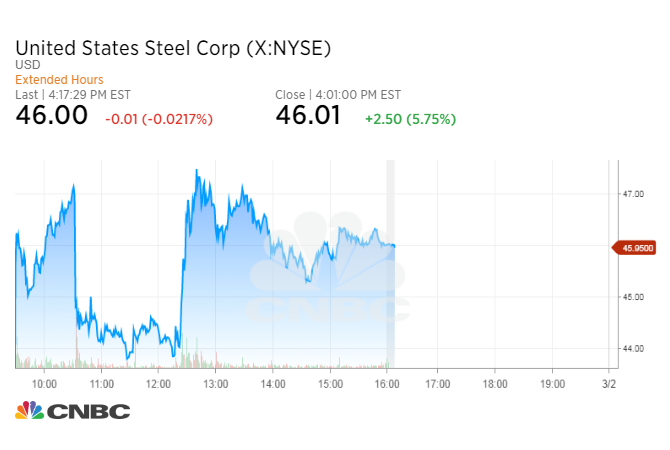 Steel and aluminum stocks traded in a wide range Thursday as a battle between President Donald Trump and his advisors on the implementation of tariffs played out in real time. 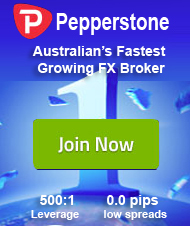 Shares of U.S. Steel closed up 5.8 percent, while AK Steel gained surged 9.5 percent. Century Aluminum and Steel Dynamics rose 7.5 percent and 4 percent, respectively. U.S. Steel and AK Steel rose as much as 9.5 percent and 13.2 percent, respectively, while Century Aluminum and Steel Dynamics traded up 14.7 percent and 5.1 percent, respectively, at session highs. The stocks reached their session highs after Trump said he will implement tariffs on steel and aluminum exports next week. This comes after the administration had said that an announcement on tariffs was unlikely Thursday as top trade advisors disagreed about the steps that could be taken by the administration. But earlier, a White House official said Trump will announce tariffs at a meeting Thursday. This came after CNBC learned that executives from top U.S. steel and aluminum companies had been invited to the White House for an emergency meeting on Thursday. The White House has been working on implementing tariffs on metals imports since last year. In June, Axios reported Trump was “hell-bent” on imposing tariffs on steel and other imports. Trump tweet: Our Steel and Aluminum industries (and many others) have been decimated by decades of unfair trade and bad policy with countries from around the world. We must not let our country, companies and workers be taken advantage of any longer. We want free, fair and SMART TRADE! 2 investigation completed earlier this month was a 24 percent global tariff on steel imports. U.S. Steel shares are up more than 24 percent this year through Wednesday.